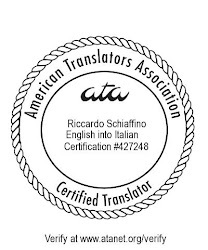 Translators should recognize an error in the source language and normally provide the correct translation just the same. Many English speakers, for example, use "i.e." ("id est" = "that is") when they mean "e.g." ("exempli gratia" = "for instance"). "This can be a column title (i.e., 'Item')"
"Si può trattare del titolo di una colonna (cioè, 'Elemento')".